We were pretty sure when we sent out the call for entries for the magazine’s first-ever alumnae products contest that Hollins grads would answer with Hollins-style creativity. In fact, fifty of you responded with an array of hand-crafted or self-designed products that made narrowing it down to the following finalists a challenge for the committee of savvy shoppers. You can find photos from the others who entered on the Hollins alumnae Facebook page. 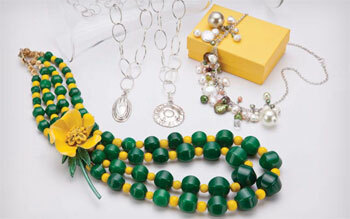 And you can read about alumnae who showcase their products on Etsy.com in our web-only story. We also invite other enterprising alumnae to add their items to the online showcase of alumnae products by e-mail to ltanderson@hollins.edu. New items will be posted monthly to the Facebook page. Janet Saltz Dykstra‘s [’72] beautifully hand-woven and hand-painted wool-and-mohair scarves are soft to the skin and come in a variety of colors and sizes. lotsaknots.net. 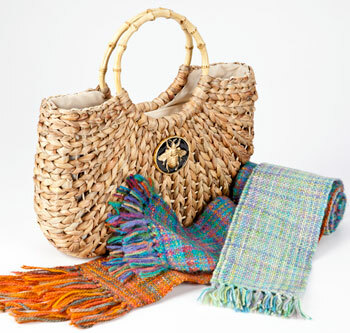 Wimberly Shook Tribble’s [’89] line of classic jewelry and accessories includes this fun straw boat tote with bamboo handles and a black enamel queen bee medallion. 14” h x 16” w. $152. wimberlyinc.com. 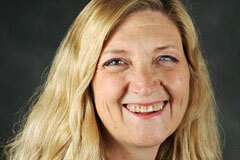 Polly Singer Eardley ’85 lives in horse country, which is also hat country. Women wear her creations to the Kentucky Derby and other major races—and to all kinds of social events. 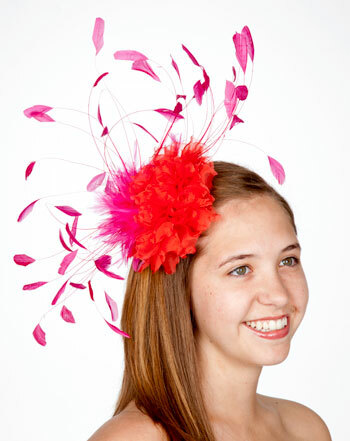 Of course, every fashionista must, in these post-royal-wedding days, have a fascinator in her wardrobe. $190. hatsandveils.net. Jenny Boully ’98, M.A. ’99 runs an online fiber arts shop with a name perhaps only a much-published writer (or a fan of 1960s novelty songs) could dream up: WoollyBoully. Shown: hand-dyed sock yarn called Red Robin: Bird, Nest, Eggs. Skeins: $16 to $25. woollyboully.etsy.com. Shana Brooks Clarke ’91 and her business partner have come up with MeebleMail—e-mail templates that transform the generic look of everyday e-mail into stylish personalized stationery. $4.99 per design per year. meeblemail.com. Katie Clemons’s [’05] handmade journals include writing prompts that, as she says, include the fun stuff, like “what makes you jump out of bed in the morning, what you laugh at, what you embrace, and most important of all: who you are.” $17.75. gadanke.com. 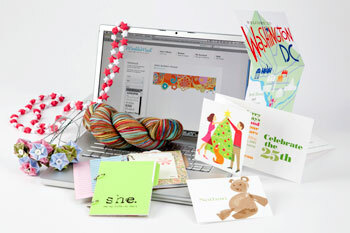 Caitrin McAlexander’s [’97] stationery company, Thick & Thin, produces custom invitations and announcements. She counts Hollins alumnae among her customers. Contact her through Facebook or at thickandthindesigns@gmail.com. Anna Copplestone ’06 is a crafter with a mission: to “enjoy and share my craft and upcycle or recycle when I can.” Her tiny origami creations (garlands, flowers, necklaces, etc.) range in price from $6.95 to $28.95. etsy.com/shop/coppleshop. Jackie DeManio Eberley’s [’88] Ridiculously Good chocolate crinkles come with a Hollins legacy: she and twin sister Genevieve ’88 would help their mother, Betsy Cragg DeManio ’66, make them for family and friends. The recipe: still closely guarded. The cookies: for all to share. Buy in various-sized batches, from $3.50 to $20. jackiescookies.com. To Sarah Parkington Fedchak ’06, “Awesome Cupcake is all about great taste.” Choose from made-from-scratch cupcakes, cookies, chocolate confections—or all of the above. Delivery available in and around Lancaster County, Pennsylvania, and shipping is available to all other areas. E-mail: awesomecupcakepa@gmail.com. 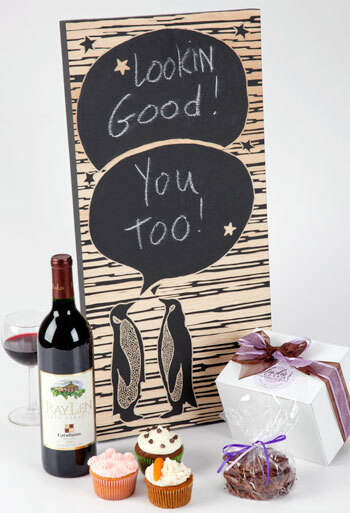 To create these whimsical chalkboards, Sara Gettys ’01 used chalkboard paint on wood, then carved the wood, leaving a smooth black writing surface. Pieces measure 11″ x 23″ and can be customized. $75. speak.bigcartel.com. After sampling wines during a trip to Italy, Joyce Riddle Neely ’66 and her husband opened RayLen Vineyards in the Yadkin Valley of North Carolina. Shown: Carolinius, a blended red wine served at this year’s reunion. $14. raylenvineyards.com. Emily Wheat Maynard ’00 crafts one-of-a-kind necklaces and earrings using vintage and antique materials. Shown: “Thine Eyes to the Hills” necklace, of polished green jade and antique African yellow glass with vintage enamel flower brooch and gold vermeil clasp. $198. elvafields.com. Gretchen Comly’s [’89] pendants have a bewitching back-story. “I bought the original door knobs from the Plaza Hotel at auction before the hotel was renovated. I cast them and made pendants out of them.” $150 wholesale price to alumnae. gretchencomlydesign.com. Amanda Coody Swennes ’04 makes “classy, sassy jewelry for women who want their accessories to be truly wearable.” Shown: A necklace of green and white freshwater pearls, with faceted glass beads, attached to a sixteen-inch silver chain. $125. weebit.etsy.com. 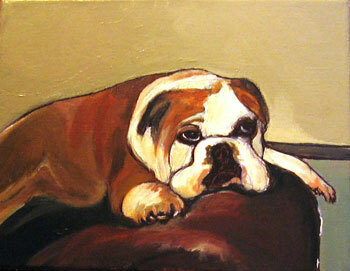 Ashley Chafin ’97 paints adorable pet portraits in acrylic from customers’ photos. Portraits begin at $100. ashleychafin.com/pet_portraits. My Wonderful Walls, owned by Stephanie Mahan Goins ’95 and her husband, offers lots of decorative options for kids’ rooms decor: wall stickers, wall stencil kits, and canvas wall art. Hollins discount available. 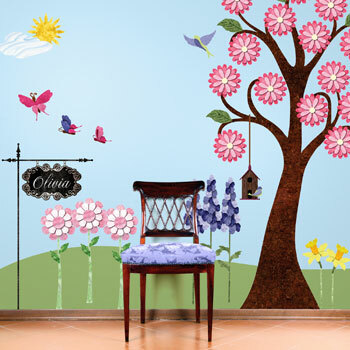 mywonderfulwalls.com. Elizabeth “Ibby” Taylor Greer ’72 paints still lifes and portraits in her home studio in Rocky Mount, Virginia. 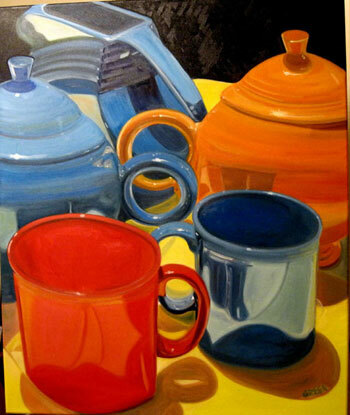 Shown: Cups, oil, 36″ x 48”, $600. blueladyarts.com. 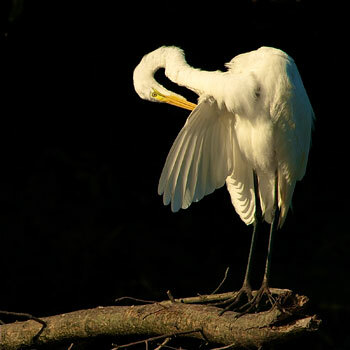 Kitty Riley Kono ’74 takes startlingly realistic portraits of insects and animals, like Egret Preening, shown here. Prints on archival paper start at $40. kittykono.com. “What to do with all the smaller pieces of reclaimed wood?” asks Kate Orr Tomkinson ’82 on her blog. Her answer: use them to make “funky” Adirondack chairs. 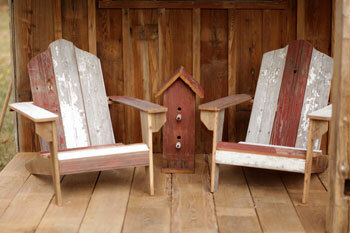 Each is crafted from four colors of weathered wood, ranging from soft grays to reds. $110. oldlegacytimbers.com.